Reliance Industries, HDFC Bank, ITC, ICICI Bank, HDFC, IndusInd Bank were the main contributors to the S&P BSE Sensex 50’s rally. 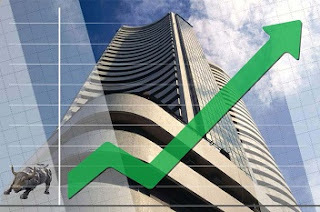 Equity benchmark indices opened in the green on Tuesday with the Sensex trading 180 points up at 38,827 levels. The Nifty also climbed 43 points at 11,636 level, well above its key level of 11,600. Besides, shares of Essel Propack (EPL) gained on the BSE after the company informed that private equity funds managed by Blackstone have entered into a definitive agreement with Ashok Goel Trust to purchase a majority stake in the company. Based on the open offer subscription, the purchase price consideration will vary between Rs2,157cr and Rs3,211cr (or ~$310mn- $462mn). Further, on the NSE, Zee Entertainment, Bharti Airtel, Infratel, HDFC Bank, and ICICI Bank were the top gainers. Conversely, GAIL, BPCL, NTPC, IOC, Tata Motors lost the most. Interestingly, all sectoral indices were trading in the green on the NSE except the Nifty IT index, which down 0.3%, due to a marginal appreciation in the Indian rupee. Nifty Pharma, Media, and Realty indices were leading the sectoral indices gained ~1% each. Notably, the volatility index, India VIX, gained 4% at 24.98. Market breadth was positive on the NSE with 988 shares advancing, 525 shares declining, and 553 shares remaining unchanged. 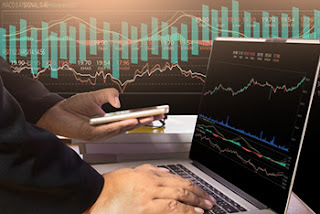 Meanwhile, on the economic news front, investors are also keeping a close watch on the third phase of Lok Sabha General Election 2019, which has begun today. Hindustan Petroleum Corporation (HPCL) dropped 5%, Bharat Petroleum Corporation (BPCL) slumped 4%, and Indian Oil Corporation (IOC) fell 3%. Equity benchmark turned red after opening on a flat note on Monday amid selling pressure in heavy weights like Reliance Industries, Yes Bank. The Sensex declined 284 points at 38,855 levels. The Nifty dropped 88 points at 11,664 levels, well below its key level of 11,700. The fall could be attributed to selling pressure in Oil Marketing Companies (OMCs) due to a sharp rally in crude oil prices in the global markets. Further, declining shares of Reliance Industries also led to the fall in benchmark indices. Shares of Reliance Industries plummeted 8% after the company’s GRM for the final quarter of FY19 stood at US$8.2/bbl vs. US$11.0/bbl yoy. 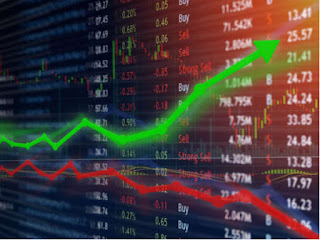 Further, among stocks on the NSE, Wipro, Power Grid, TCS, Tech Mahindra, and HCL Tech made a basket of the top gainers. Conversely, BPCL, IOCL, Indiabulls Housing Finance, Yes Bank, and Reliance Industries lost the most. All the sectoral indices on the NSE were trading in the red except the Nifty IT, which was supported by depreciation of the Indian rupee. The Indian rupee slumped 48 paise to trade at 69.83 against the dollar compared to its previous close of 69.35/$. The Nifty Realty index declined 2% followed by Auto, PSU Bank, Private Bank, Financial Services, which dropped 1% each. Incidentally, the volatility index, India VIX, climbed 6% at 24.15. 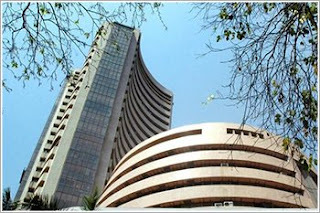 The Sensex gained 144 points at 39,419 levels and the Nifty gained 30 points at 11,817 levels. Equity benchmark indices are trading on a positive note on Thursday with investors focusing more on Q4FY19 results. Among stock, Reliance Industries (RIL), Wipro, Axis Bank, Vedanta, and ONGC were the top gainers on the NSE. Conversely, Hindalco, Infratel, JSW Steel, Bharti Airtel, and Tata Steel lost the most. Shares of Reliance Industries (RIL) were trading 2% high on BSE ahead of its Q4FY19 earnings. Further, shares of Wipro gained 2% after its board approved a proposal to buyback up to 32.30 lakh shares of the company for an aggregate amount not exceeding Rs10,500cr, being 5.35% of the total paid-up equity share capital at a price of Rs325/equity shares. Sectoral indices on the NSE were trading on mixed note with the Nifty Metal index declining ~1% amid fears of lower demand after Vale allowed restarting of Brazil mine. On the flip side, the Nifty Auto index rose ~1% led by Tata Motors, Motherson Sumi, and Apollo Tyres. Market breadth was positive on the NSE with 820 shares advancing, 692 shares declining, and 548 remaining unchanged. Notably, volatility measuring index, India VIX gained 3% at 22.35 points. Interestingly, RIL, HDFC, ICICI Bank, HDFC Bank, Tata Motors, and Axis Bank contributed to gains in the Sensex. The market breadth was positive on the NSE with 1,019 shares advancing, 502 shares declining, and 552 remaining unchanged. 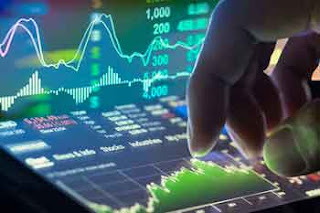 Equity benchmark indices opened higher on Monday as investors turned their focus on March-quarter earnings and macroeconomic data. Metal and realty indices rose 1%, followed by banking, FMCG, media and pharma. The Sensex was up 55 points at 38,823 and the Nifty50 rose 16 points at 11,659. The market breadth was positive on the NSE with 1,019 shares advancing, 502 shares declining, and 552 remaining unchanged. Shares of Infosys dropped 2.5% after the company reported numbers for Q4FY19. Constant currency (cc) revenue grew by 2.1% qoq and US revenue came in at USD3,060mn, up 2.4% sequentially. PAT increased by 12.9% qoq to Rs4,074cr against the median consensus estimate of Rs3,968cr. Shares of TCS climbed 3% in the morning trade on the NSE after the company reported Q4FY19 numbers. PAT grew by 0.3% qoq to Rs8,126cr against median consensus estimates of Rs7,980cr. INR revenue grew by 1.8% qoq to Rs38,010cr, which is higher than median consensus estimates of Rs37,841cr. Coal India, TCS, Tata Motors were among top gainers, while Infosys, GAIL, and Zee declined in today’s trade. The Indian rupee opened higher by 8 paise at 69.07 per dollar on Monday vs. Friday's close 69.15/$. On the economy front, Consumer Prices Index (CPI) for March 2019 expanded 2.86% compared to 2.57% in February, data released by the Ministry of Statistic and Program Implementation on Friday showed. The Volatility gauge, India VIX is up 3.67% at 21.77. The most active stocks on the NSE are Infosys, TCS, PC Jeweller, and Tata Motors. For today, we expect another quiet start with action slated to pick up in the second half as earnings from bell weather IT companies kicks in. SGX Nifty is trading at 11656, down 26 points. For today, we expect another quiet start with action slated to pick up in the second half as earnings from bell weather IT companies kicks in. 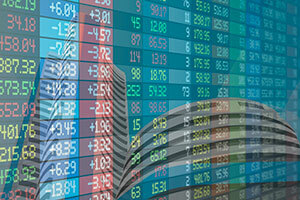 On Thursday, Nifty saw a weak, however, the last hour buying by foreign investors saw the index close in the green. Sentiments turned weak after some mutual funds deferred interest payments on monthly income plans, which saw equities lose ground. FMCG, auto, and select midcaps led the winners, while metals, banks, and realty were the losers. Global Market: Asian markets opened in the green with the Japanese Nikkei trading higher by 50 points. Yesterday we saw a serious profit booking in most Asian indices. The positive outcome of the trade & tariff talks could see further upside to the Chinese market. Expect a positive day today as China macro data due on exports could see upside in most export related stocks. US Markets: US stocks closed marginally in the red on continued consolidation as we approach earnings season. Oil prices retreat as the US inventories rose even as Russia indicates an increase in supply to control prices. Bond yields trade flat at 2.5% as US/China trade talks fructify with indications of a positive outcome. FII/DII Data: In yesterday’s trading session, FIIs bought 477cr worth of stock in cash, whereas DIIs sold 17cr worth of stock. In the derivative market, FIIs sold 28cr of Index futures and bought 3245cr worth of Index options. In the Stock futures segment, FIIs sold 745cr worth of stock futures and sold 15cr stock options. FII View: In Index future segment, FIIs index future long/short ratio stands at 1.8x vs 1.7x as unwinding was seen in both long and short positions. On the Index option’s front, FIIs could square-off their existing April 11,2019 weekly expiry positions marked by sharp unwinding in both call and put option long/short positions. The market breadth was neutral on the NSE with 870 shares advancing, 653 shares declining, and 549 remaining unchanged. 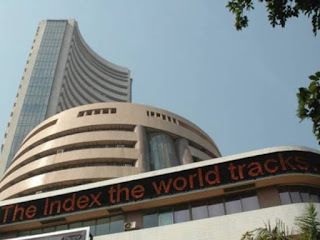 Equity benchmark indices open flat on Thursday tracking mixed global cues. Investors also awaited the March-quarter earnings with TCS and Infosys reporting their Q4 numbers tomorrow. Among sectoral front, metal, pharma, banking, and IT were trading in the red zone, while FMCG, financial services, auto, and realty indices are up. IOC, Bharti Airtel, Indiabulls HF, and BPCL were top gainers on NSE, while Vedanta, Sun Pharma, Infosys, and Adani Ports fell the most. The Sensex rose 43 points at 38,627, while the Nifty was at 11,592, up 8 points. The market breadth was neutral on the NSE with 870 shares advancing, 653 shares declining, and 549 remaining unchanged. Shares of Welspun Corp gained 3% after it has received additional pipe orders of 180KMT on a global basis. The company’s order book stands at Rs1,661 KMT worth at Rs14,100cr. Shares of Wockhardt climbed 3% after the company has received USFDA approval for generic version of Dacogen, which is used to treat certain forms of cancer. The product will be manufactured in Hyderabad. The Volatility gauge, India VIX up 0.55% at 201.24. The most active stocks on the NSE are HDFC Bank, Tata Motors, Indiabulls HF, and Reliance Industries. The Indian rupee opened lower by paise at 69. 21 per dollar on Thursday against Wednesday's close 69.11. Meanwhile, Asian stock markets were trading flat on Thursday after the Federal Reserve did little to alter investor expectations that interest rates in the US are likely on hold for the remainder of this year. Treasuries steadied.